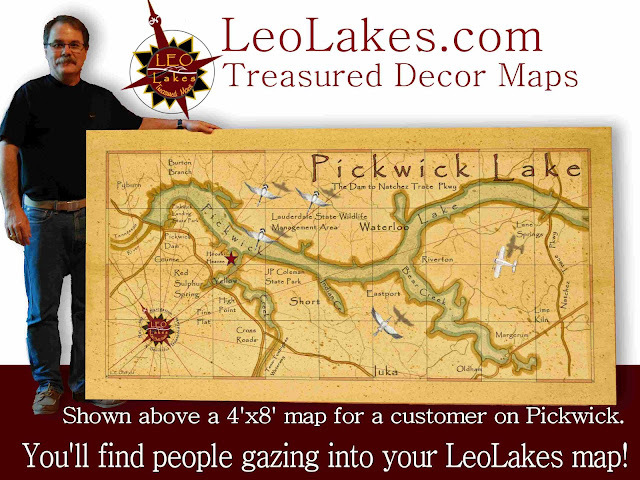 Just finished this huge 4ft X 8ft Vintage Style Decor Map of Beautiful Pickwick Lake. This map is printed on canvas and will hang in a home near the Lake. Remember to get away from the big screen and get on a big stream. You may or may not know. What Fly's do in their spare time. What is a Woolly Bugger?